happy early valentine's day to everyone! What did everyone have for breakfast? I had eggs and toast with orange juice! What did everyone have for breakfast?! I had eggs, orange juice and toast :D it was good! they had candycorn on sale at the store today so mom got some and brought it home, YAY!! I LOVE CANDYCORN :D I'm eating them right now! I love candy corn too! I almost never have it though! I SIGNED UP FOR BETA TESTING!! I HOPE I GET ACCEPTED!!!! AHHHH!!!! I'm not sure if I'll sign up to beta test or not yet. Good luck Yellow hopefully you do get accepted! I signed up too!! I LOVE Miss clue!! Merry Christmas!! :) Christmas is in 26 days everyone!! woot! I was about to get a snack, which should I get? Butter Crackers with peanutbutter on top? I recommend the BBQ Chips, they've expired and need eating! i didnt eat lunch but i had snacks? does that count???? For lunch I had ham sandwiches with chips! Just finished the wordless scavenger hunt !! I love cookies!! especially at christmas time! what's everyone's favorite cookie? mine is peanutbutter! my favorite has to be either a really good sugar cookie or there's a bakery I go to sometimes that has maple bacon cookies and they also make super yummy oatmeal cookies. Cookies! My favorites are peanut butter, oatmeal raisin, and sugar cookies! HEHE i see you found mary and joseph i like your profile pic @pinkyb!!! Sorry that I'm just seeing this! I haven't checked the Activity page in a while... And thank you! I like yours too. CONGRATS to Wild Mountian & Royal Court!!! GREAT tournament Dazzlerdream!!!! 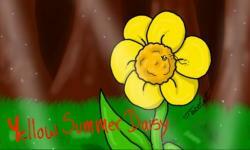 Thank you Daisy! It would be awesome if Dream did another tournament! I love love love love love AUTUMN!!!! It gives me a real reason to cuddle up with a book and read with some snacks by a cold window! the only problem with autumn is, that it never lasts long enough! Hi Daisy!! I know, me too! Autumn is the best time of the year, and cuddling up with a book next to a cold window certainly sounds fun! Do you usually have a blanket, or a long sleeved sweater? Or do you just lean up against the window!? I always like to bundle myself up with as many warm things as possible! LOL I've even got a big fluffy feather comforter my mom gave me two Christmases ago! I like to lug it into the living room and crash on the floor! I like to sit by the heater with a comfy sweater and fuzzy slippers or sometimes I sit outside by the fire with a warm blanket and maybe some hot chocolate...and marshmallows! Autumn is a great season! My favorite part of it is Thanksgiving. :) Winter is my favorite season. Is it time to talk about breakfast yet? i had cereal and an orange! I love iStella's and yours! is it time to talk about lunch again? I had egg salad and pb&j sandwiches! Okie dokie I had hotdogs, and potato chips! isit tmie for lunc yet? Yummy! Yesterday, I had a sandwich with some chips and pickles. Wow GMTA, well sort of I had a burrito for lunch!